Chicago Heights, IL-(ENEWSPF)- An early fall chill is bristling in the air, but a warm smile comes over the face of six-year-old Izaiah Osborne when he sees a bird outside Family Development Center, part of the Schoolyard Habitat at Governor State University (GSU). 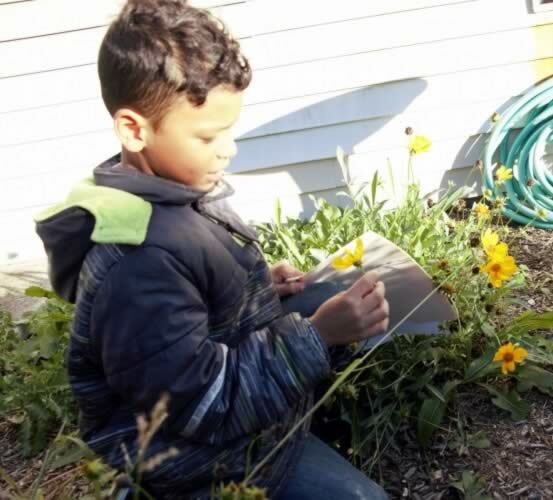 “Hey, that’s a pollinator,’’ exclaims the boy, who with other students this summer planted sunflowers and milkweed to attract birds and other winged and slivering specimens as part of a Standard Pollinator Garden project. A month after the Illinois Schoolyard Habitat Action grant ended, these youngsters— tomorrow’s scientists—are still talking about birds and bees. “Pollinators are like insects or birds that help the world grow plants that make food for us,’’ said Izaiah. With the help of a $650 grant from the Illinois Department of Natural Resources, the curious gardeners took to the southwest corner of the FDC site— a National Wildlife Federation Habitat for the Protection of young and wild offspring— to engage the natural rhythm of life. In early summer, the youngsters determined which species were not native to the area. Alongside adults, they pulled plants from the garden to make room for the native species of purples and yellows they positioned to attract pollinators. Throughout the summer, students weeded and watered their plot and recorded data and document the connections between plant life cycles and sustainability.On a recent visit, Izaiah was eager to share his lesson on environmental beauty. 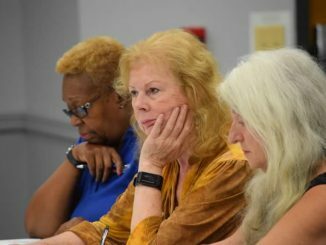 He’s living proof that sowing seeds of environmental care often reap a bountiful harvest, said Carol Morrison, FDC Executive Director.